TUESDAY, Feb. 27, 2018 (HealthDay News) -- Americans are getting fewer blood transfusions, and that's good news, researchers say. "It's a win-win for everybody," said Dr. Aaron Tobian, senior author of a new study. 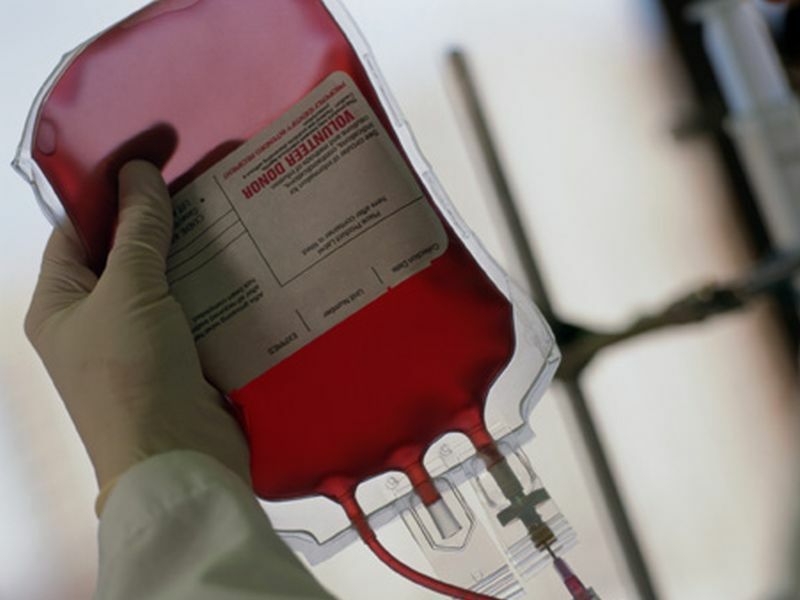 "Fewer transfusions are good for multiple reasons," said Tobian, director of transfusion medicine at Johns Hopkins University's School of Public Health. "Our blood supply is safer than ever, but there's always a slight risk to patients. There's an economic benefit to fewer transfusions, and blood is a scarce resource," he explained. Transfusions are among the most common hospital procedures. Tobian's team found that hospitalized people were less likely to receive a red blood cell or plasma transfusion in 2014 compared to just a few years earlier. Hemoglobin concentration is one factor in deciding whether or not to transfuse a patient. (Hemoglobin is a protein in red blood cells that carries oxygen.) Research showed it was safe to hold off on transfusing patients with a hemoglobin level between 7 and 10 grams per deciliter. Hospitals used that information to develop new patient blood management programs. These programs were aimed at improving outcomes, reducing costs and saving blood, according to a new study. Dr. Ross Herron is chief medical officer of the Western division of the American Red Cross. "More efficient use of blood is a good thing because we want to make sure that we have a supply when people need it," Herron said. Herron added that the Red Cross has seen a drop in the need for red blood cells. "Patient blood management has been working," he explained. However, the reduction isn't enough to ease the constant need for blood donations. "We still need blood donors, especially platelet donors. Platelets only have a shelf-life of five days. Plasma lasts for around a year and red blood cells are 42 days," he said. Red blood cells and plasma transfusions are used for a variety of reasons, including elective and emergency surgeries, traumas and cancer treatments, Herron said. To measure the effect the new blood management guidelines were having on the number of transfusions, the researchers looked at a national sample including 20 percent of all hospital inpatient discharges. This sample is thought to represent about 96 percent of the U.S. population. The researchers looked at trends in transfusion from 1993 through 2014. From 1993 until about 2011, the rates of plasma and red blood cell transfusions tended to rise. In 2011, they started to come down and continued to decline or level off through 2014. Red blood cell transfusions decreased from nearly 7 percent to less than 6 percent from 2011 to 2014, the study found. Plasma transfusions dropped from 1.0 percent to 0.87 percent during that same time. Platelet transfusions remained stable. The reduction in red blood cell transfusions was seen in both sexes, all races/ethnicities, different severities in patient conditions, various types of payers (private insurance, government insurance or no insurance) and different reasons for admission. The red blood cell transfusion decrease was significantly greater in patients coming in for elective surgery compared to non-elective surgery -- a drop of 26 percent versus 14 percent, respectively, according to the study. Tobian said this is likely because when people have elective surgery, they have pre-operative blood work done. At that time, the doctor can see what a patient's hemoglobin level is. If it's low, the doctor can recommend taking iron to raise those levels before surgery to avoid the need for a transfusion. Results from the study were published Feb. 27 in a letter in the Journal of the American Medical Association.